Barcelona is supplied with the greatest receptive and organizational facilities in Europe for the realization of congresses, meetings, conferences, fairs and incentives. We will organize & coordinate your event offering every kind of related service & dealing with every detail of your event, offering an excellent service and management for your company event. 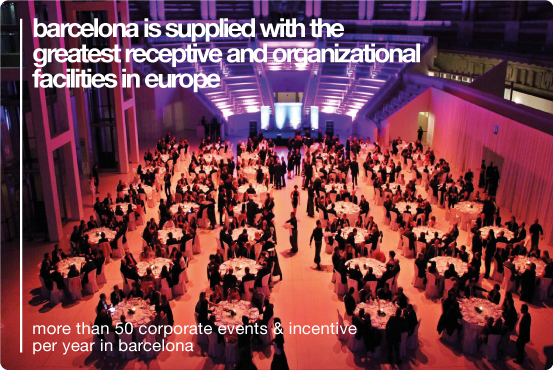 We organize with renewed success more than 50 Corporate events & Incentives per year in Barcelona, as you can see in the ‘Recent Events’ section.